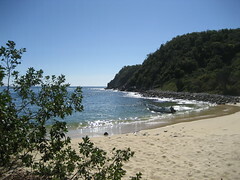 This is the beach adjacent to where Habecuc collected the caracol. It's idyllic - so beautiful!! Click on the picture to go to the Flickr page, and look at the bigger version. That's our tour boat! 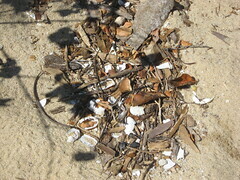 These are turtle eggshells -- I'm positive that the little guys made it to the beach ok. Because I can't bear to think that they didn't.